Submitted by Jason Horton on Aug. 16, 2017..
An interesting characteristic of the AKG C535 EB is that is has a mainly flat response over the mids and then a 2dB gain from 7kHz to 12kHz that helps your vocals cut through the mix. It also has a 4 position switch for controlling the amount of bass roll-off you want. Applications: Live vocals and recording, many also use it as a snare / hi-hat mic. 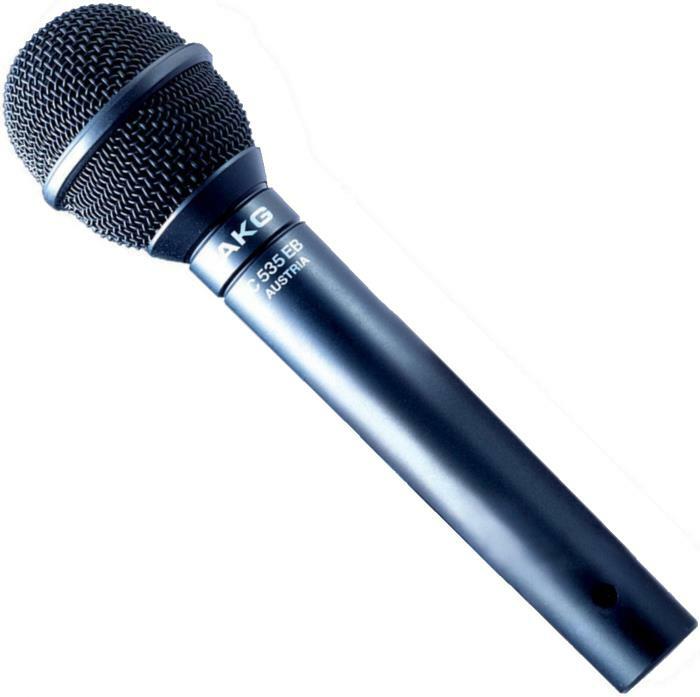 Many reviewers talk about how they've used this mic on stage for years and never had any problems with it. A very common comment is that this mic helped their singing cut through the mix and allowed their voice to stand out. It has also received many positive comments from people who have used it for miking snare to capture a bright sound when recording. A few people complained that the bass roll-off switch is hard to move, but I see that as a positive because it means you won't accidentally switch it while you're singing. This mic is particularly popular with male singers with a low register due to it's brightness on the high-end and the level of control it gives you on the low-end, but it is highly regarded by singers of all types. The AKG C535 EB has been discontinued so this meta review will mainly appeal to those buying it second hand, but if you're looking for a new microphone then look at our guide to The Best Live Vocal Mics. The colors above are the same as in the legend for the polar pattern chart below.